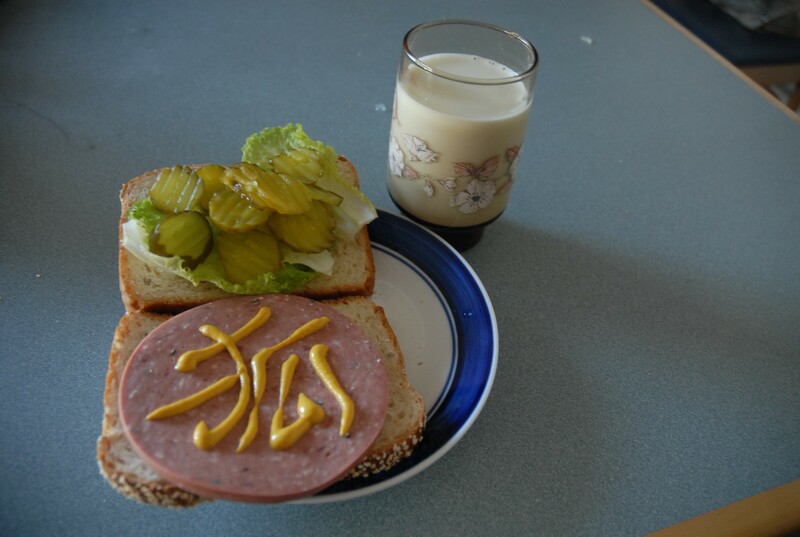 One day while making a sandwich I looked at the mustard bottle and realized that I might be able to write kanji with it. This is the result. It’s not the best writing of the kanji for “kitsune,” which translates to “fox,” since the last stroke should be slanting toward the right and instead curves back to the left. But I had fun taking pictures of my lunch.